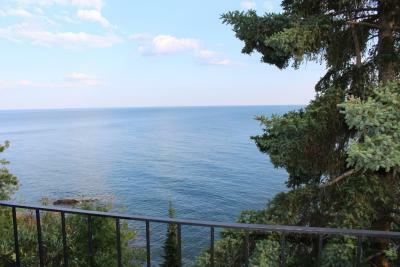 Lock in a great price for Cliff Dweller on Lake Superior – rated 9.2 by recent guests! I stayed here for 2 nights and it was wonderful. The views from our room was beautiful. The owners were so nice and friendly. We learned a lot about the area from them. I would definitely recommend this resort. Comfy beds, amazing hospitality and right next to all the state parks we wanted to explore! clean and we’ll kept. 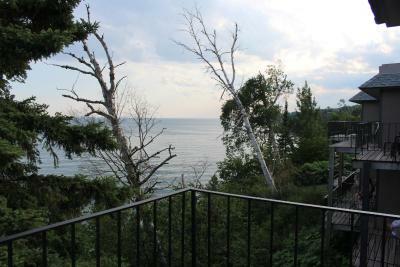 Balcony on Lake Superior is beautiful and we got to see a wonderful sunrise. 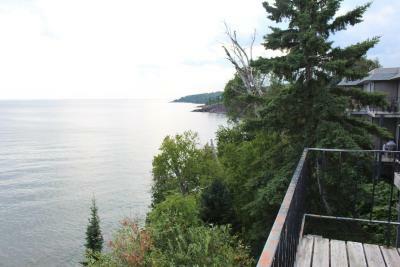 Todd and Michele were great hosts - they made our visit to Tofte wonderful. 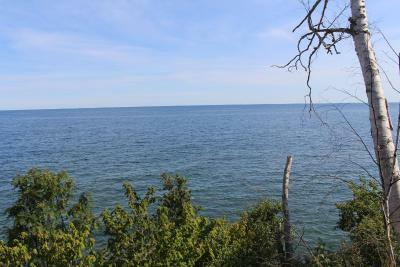 The location is perfect for exploring the North Shore - easy access to the lake and hills/state parks for hiking and skiing. 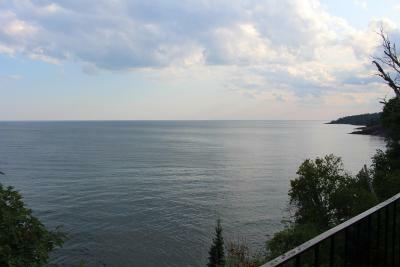 Beautiful views from the balcony in each room over Lake Superior and a lovely breakfast included. We will be staying again! The staff were friendly and helpful. The breakfast was good, with a lot of options, but wanted to have some meat to go along with the eggs and waffles. King size bed very comfortable. The sking was close to the hotel Lots of cross country ski trails. Lots of snow! The free breakfast was very good! Very nice accommodations. Price was right and the owners are wonderful. We stayed here during a snowmobile trip. The facility has a private trail that runs to the state trail. Also theres a trailer parking lot. Awesome! The owners were super friendly. Very nice rooms. 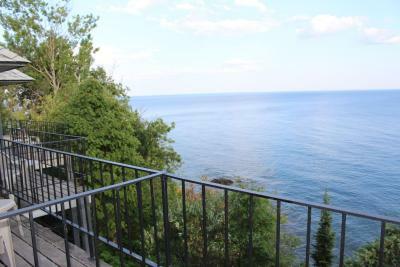 Every room has a walk-out balcony overlooking the cliffs to the beach on Lake Superior. The free breakfast was very good! They had good coffee, too! The bed a cliff dweller was very soft and comfy. The continental breakfast was delicious and had lots of good options. The room had and amazing view and the fridge actually kept our room cold! The rooms were clean and the bed was cozy, but the view was amazing! Friendly attentive staff too. 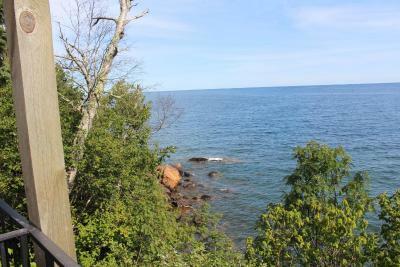 Cliff Dweller on Lake Superior This rating is a reflection of how the property compares to the industry standard when it comes to price, facilities and services available. It's based on a self-evaluation by the property. Use this rating to help choose your stay! 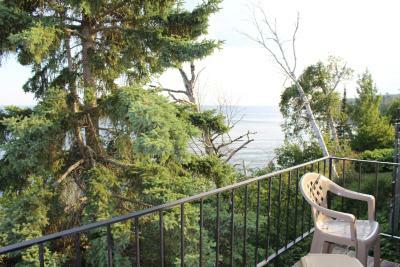 A private balcony with views of Lake Superior are featured in every room at this waterfront Lutsen hotel. 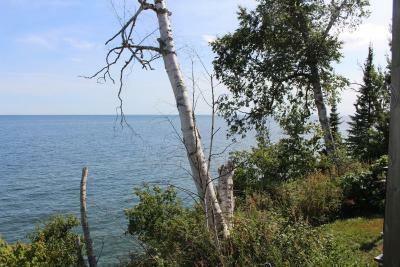 It is located on the edge of Superior National Forest. 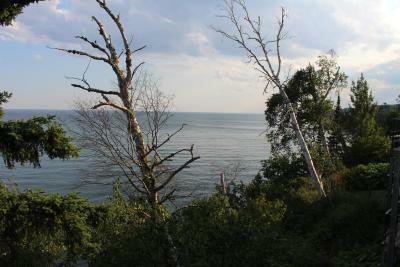 Cable TV is offered in every room with lodge décor at Cliff Dweller on Lake Superior. For added convenience, ironing facilities are also included. 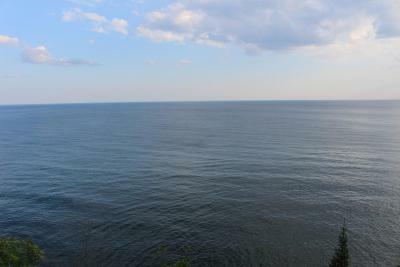 A daily continental breakfast is served at Lake Superior Cliff Dweller, featuring cereal, coffee and juice. Free parking is available to all guests and vending machines with drinks and snacks are offered on site. Skiing at the Lutsen Mountains is 6 miles from this hotel. The 27-hole Superior National Golf Course can be reached in 4 minutes’ drive. 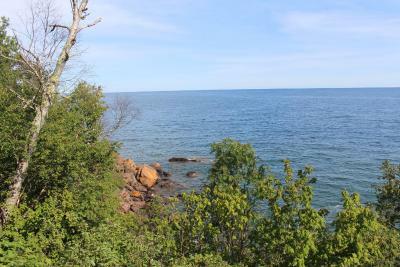 This property also has one of the top-rated locations in Tofte! Guests are happier about it compared to other properties in the area. 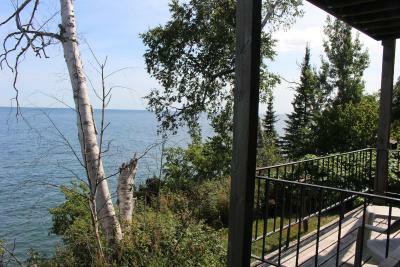 This property is also rated for the best value in Tofte! Guests are getting more for their money when compared to other properties in this city. 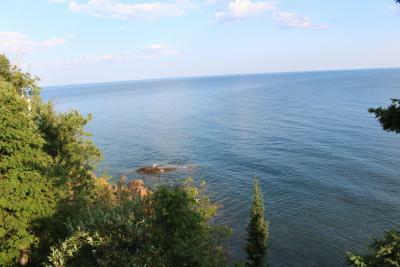 When would you like to stay at Cliff Dweller on Lake Superior? 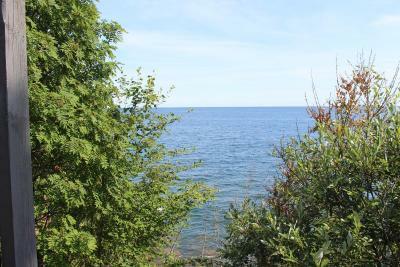 Featuring a private balcony with lake view, this room also includes cable TV and ironing facilities. 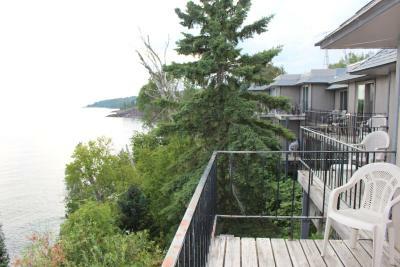 House Rules Cliff Dweller on Lake Superior takes special requests – add in the next step! Up to three children under 12 years are charged USD 10 per night when using existing beds. Cliff Dweller on Lake Superior accepts these cards and reserves the right to temporarily hold an amount prior to arrival. Please note the one night cancelation fee will be taxed. The king size bed was oh so comfy. 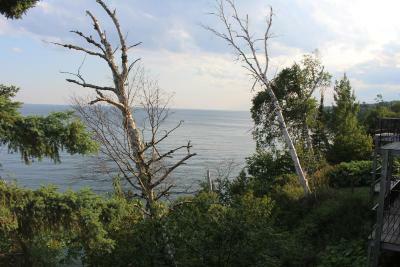 Waking up to a view of Lake Superior, you can’t beat it! The rooms aren’t huge, but you’re only there to sleep. The towels were soft and in good condition The hosts Michelle and Todd were very interactive and gave good recommendations. Views of the lake from our room, nice size fridge. Shower head was to low! Awesome owners, great location and breakfast! It would have been nice to have shades or blinds in the breakfast room, it was hard to sit in the bright sun and talk to people at your table. You needed to wear sunglasses. I can't think of anything that was lacking as far as the rooms or service. It was all good! Comfy bed, cute and clean room with an amazing view of Lake Superior. Loved having a balcony that was pretty much on top of the lake! Highly recommend! Breakfast could have had a meat option. The beds were very hard, however the room was exceptionally clean, the breakfast was good and the owners could not have been nicer.